青森ねぶた祭り Aomori Nebuta Festival | Flickr – Photo Sharing! Apart from its advanced technologies and undeniable charm, Japan is without doubt also known for its incredible diverse culture. Many tourists visit the country to get a taste of tradition and history. Japanese festivals, or matsuri are without doubt one of the most visited tourist attractions and are held at different places at different times throughout the year. There are more than 200,000 matsuri each year, but I have picked the 10 that might appeal to tourists the most. This article is only scratching the surface, but you can explore the Japanese traditional festival culture more if you are interested. As the name implies, the Kawagoe Matsuri is held annually in Kawagoe aka ‘Little Edo’. I have visited this event a couple of times, and each year found it as fascinating as the year before. It is without doubt one of the biggest and famous matsuri in the Kanto region. 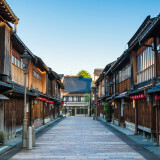 Kawagoe itself is a town which kept its traditional Edo atmosphere for a very long time – you can see buildings dating back to the Edo period, and it is definitely a place worth visiting for Japanese culture fans. Famous for its numerous temples and the candy alley, it is an interesting place to visit with family or alone. You can stock up on Japanese candy for cheap and watch some candy-making performances on the streets if you are lucky. Back to the matsuri – about 30 floats or dashi are carried around the main streets of the ‘Little Edo’ town. This is an extremely crowded event, but it adds to the charm and the atmosphere of the occasion. You can listen to traditional Japanese music played by Japanese traditional instruments, watch performances and eat matsuri food. It is a fantastic event enjoyed by many! 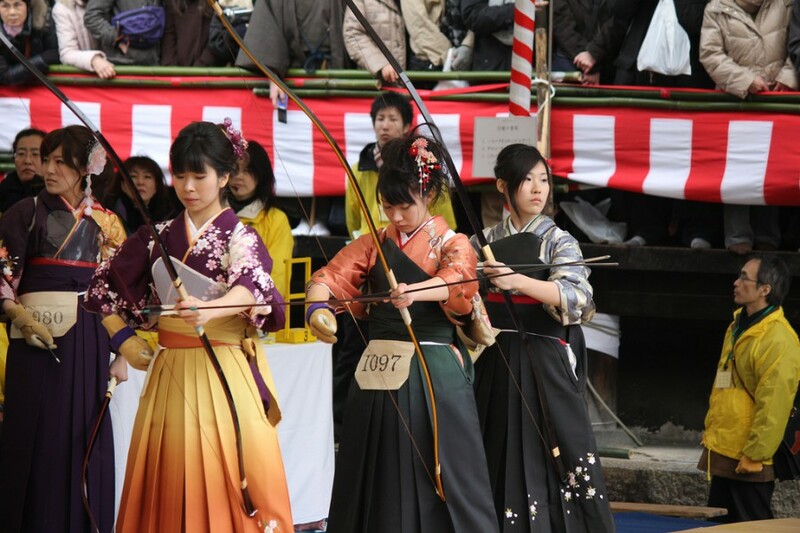 As much of a festival, it is more of an interesting event to attend –Sanjusangendo’s archery contest is quite a famous and entertaining occasion to drop by if you are in Kyoto around New Year’s. The Sanjusangendo temple itself is in my opinion, one of the most interesting places you can visit in Japan. Also known as the world’s longest wooden structure, the Sanjusangendo Temple is 120 meteres in length and features 1001 different statues of the Goddess Kannon. The archery event is also known as “New Year’s archery” because thousands of participants gather to shoot the New Year’s first arrows across the 60m space of the temple. Coming of age women (ie 20 in Japan) all dress up in traditional Japanese clothes and participate in this occasion. This unique New Year’s ceremony dates back to the 12th century and is still practiced today. The Kibune mizu matsuri is another interesting summer festival to visit – originally, this was practiced annually in forms of rain-summoning rituals, but now days it is expressed through events to show one’s gratitude towards water. Many different proceedings are held there including court dancing and tea and cooking ceremonies – these are the main charms of the event. One of the main attractions however, is when a master from the Ikama School cooks a fish without even once touching it! Kibune itself is a small but adorable town to visit, and the Kibune Shrine is famous across Kyoto. You can hike or take a walk around the shrine’s premises which are really lovely and relaxing. The Tokushima Awa Odori is without fail one of the biggest matsuri in the whole of Japan. It attracts more than one million visitors from all over the country and abroad, and is an event I would highly recommend to visit. 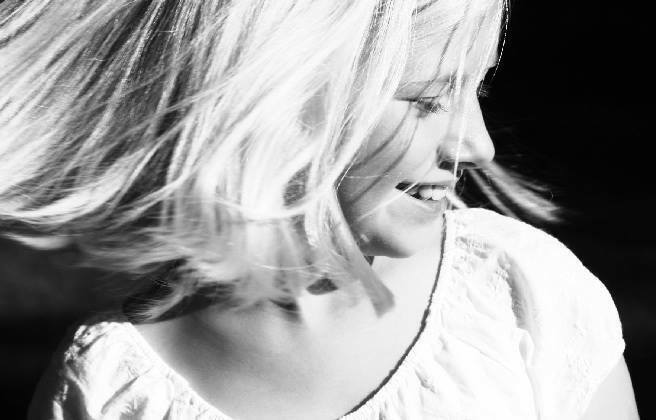 You can think of it as one big traditional dance party – synchronized men and women’s dances are held throughout the day and night, and visitors are encouraged to join in and have some fun. Many Kyoto and Tokyo schools, teach some Obon dances to their pupils in 3rd -4th year of elementary school to encourage interest in these events, as well as to keep the traditions from being forgotten or dying out. You can either reserve a seat on the main street’s stands to watch the festival, or walk alongside the dancing crew. This event might also appeal to those in favor of Japanese traditional music as flutes, shamisen (Japanese three-stringed guitar) and taiko (Japanese drums) could be heard throughout the day. It’s a fun event to join in and observe with family or company! This is the most famous Yosakoi festival in the whole of Japan, which attracts more than a million visitors. After the huge Awa Dori influence throughout the decades/centuries a new form of dancing – the modern Yosakoi came out in Japan like a heat wave. Everyone went crazy as many different dance troupes were formed and they all started practicing for different festivals. Schools practice the Yosakoi Soran dance in the 4th year of elementary school. The dance steps are still quite traditional, but more energetic and exciting than those found in the Awa Dori dance routines (but the Awa Dori festival is still a must to go visit nevertheless). More than 350 dance troupes attend the Sapporo Festival, and you can witness a huge range of different dances, cheers and designs. People are encouraged to join in and this gives the matsuri an exciting and fun feature. 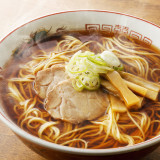 The festival represents the exciting feeling after the cold and harsh winter ends (as Hokkaido is pretty much always cold) and the hot summer starts. This is definitely one of the most visited matsuri in the northern part of Japan. It features the making of kamakuras – Japanese snow huts located around various locations in the city. (Do not mistake it with the Kamakura city). 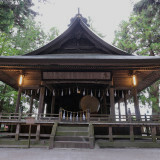 Various altars are put inside the kamakuras, and people visit to make offerings and drink some amazake – a type of low-alcohol sweet Japanese wine offered to children and adults to ‘heat-up’. This is all done to cherish the water deity and to show respect towards him. It is definitely a ‘cold’ matsuri to visit, but it is really fun and interesting, as well as contrasting to the various summer festivals held throughout the country. This festival dates back to the 8th century and is a must to attend if you are visiting Nikko. 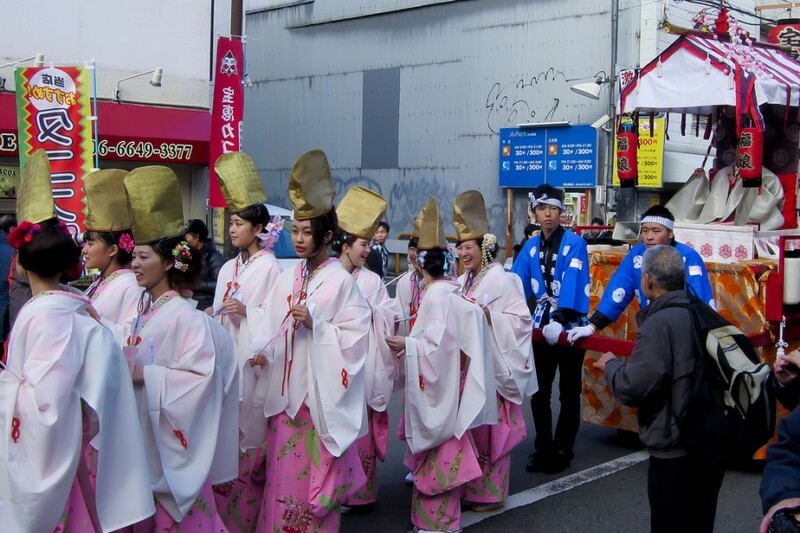 The matsuri celebrates the beginning of spring, and is held during the cherry blossom season. Nikko is an absolutely amazing town to visit if you ever come across Tochigi. The area itself is a UNESCO World Heritage site and the correlation of buildings and the nature around it is truly relaxing and beautiful. It has a lot of unique old temples and shrines, and is definitely the place to go for Japanese culture enthusiasts. The matsuri is conducted by a series of rituals and customs, and is so important to maintain them, that even a single mistake may ruin the event. Nikko’s main shrine was constructed in the early 17th century and is a must to visit if you are interested in Japanese history and culture. Giant Chinese characters are illuminated on different mountains in this unique matsuri. 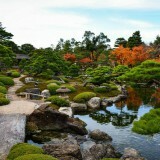 This festival represents the Kyoto summer, and the images from this event are printed on greeting cards and brochures. Thousands of visitors gather and watch the famous 大 (大文字daimonji) symbol illuminated by over 70 burning areas. The longest stroke is over 160 meters long, and if you watch from afar, you will see the symbol burned on the mountain. Other symbols such as Myoho, Funagata, Hidari-daimonji and Torii-gata can be observed on other surrounding mountains. One of the most well visited matsuri in the Osaka region, the New Year’s Toka Ebisu Matsuri is definitely an event you would want to visit. Over a million people visit it each year, and they all come to offer Ebisu, the god of fishermen and luck some presents to pray for the success of their businesses. A lucky bamboo branch is decorated in different pearls and opals to benefit the business society. It is a truly interesting event to attend and participate in with family and friends. Another fire festival if the Daimonji Gozan Okuribi matsuri got you interested. During this matsuri, many mainstream festival events are held there including goldfish fishing, fireworks, and matsuri food. 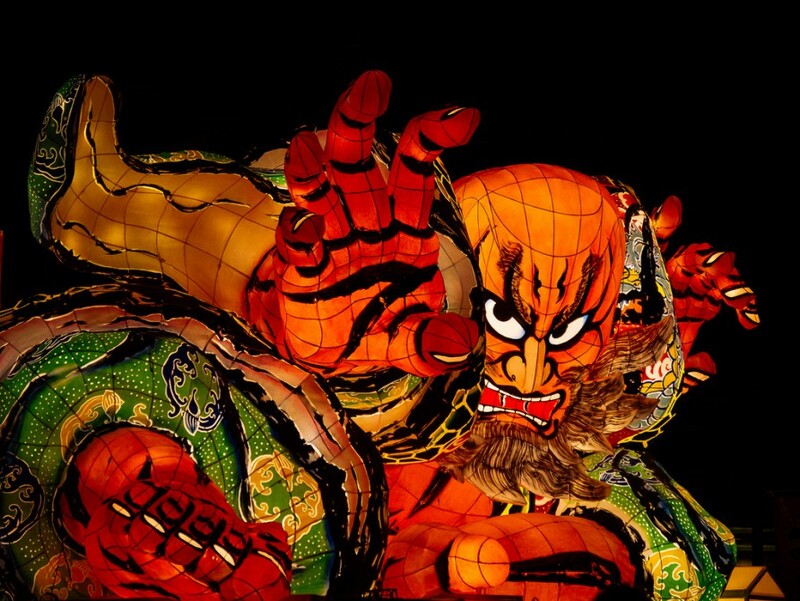 Dai Himonjiyaki is illuminated on the Mt.Aso Mountain, and this is a spectacular event to watch from afar. It resembles the Daimonji Gozan Okuribi matsuri as the rituals and customs are alike. 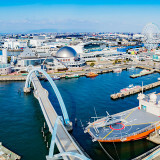 A fun event to visit if you ever stop by Kyushu with family or friends! There are so many different matsuri in Japan; it will take years to describe all of them with their unique traditions and rituals. Every single one of them, big and small is worth popping in to cherish the festival spirit and have a ‘taste’ of Japanese culture. Good luck and hope you have a great time!